Soul music is about feeling, not perfection. Though I do listen to younger R&B singers, they generally don’t excite me like Aretha Franklin has during her long, lauded career. Though I love Mary J. Blige, her songs frequently sound like they were spat out by a computer. 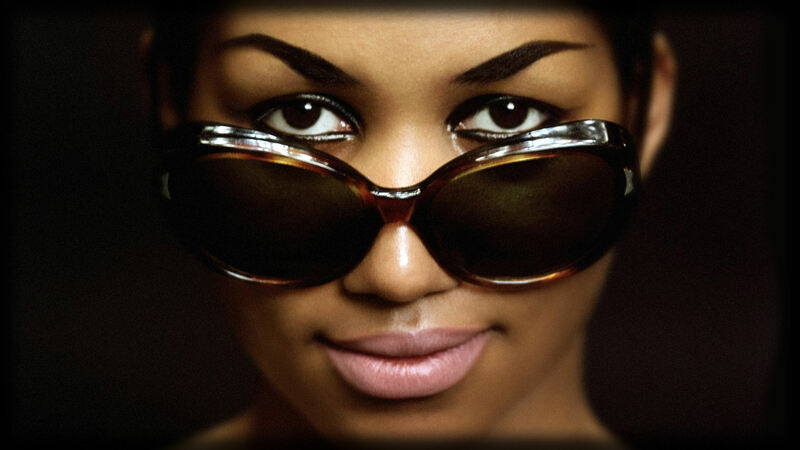 I wonder where are the young woman who can take me to church and make me believe the way Aretha could. While Beyoncé, Janelle Monáe, and Jennifer Hudson all have their strengths, they sure as hell ain’t back-in-the-day Aretha. 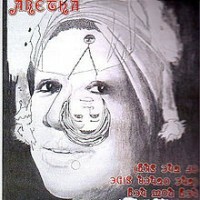 One problem is that contemporary R&B tracks are frequently written from the beat up and largely programmed, with vocals auto-tuned and digitally manipulated even when the singer has no pitch issues. The result is that by and large, contemporary R&B has no soul. If a song lacks a strong melody, compelling lyrics, and the feeling that it was made by human beings, it simply doesn’t matter how good the singer is, because I won’t feel anything. For the purposes of organizing this list, I have only included songs Aretha covered that are generally associated with other artists. Of course, it is fair to say that any song that she did not write is technically a cover songs (i.e., the entire Curtis Mayfield soundtrack to Sparkle, or Narada Michael Walden’s “Freeway of Love,” for example). 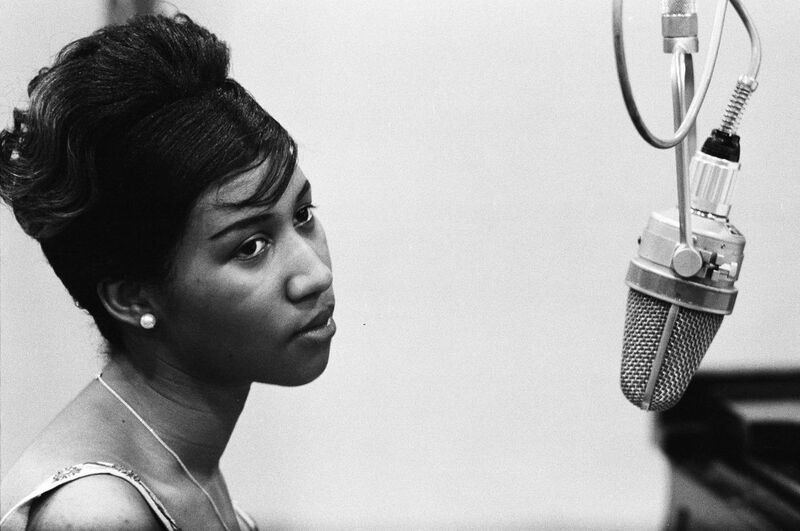 But I wanted to focus specifically on the unique ability Aretha has to make other artist’s songs her own. This is particularly true if (notwithstanding the not-so-bad cover of Adele’s “Rollin’ in the Deep”), you avoid her most recent collection, the aforementioned divas tribute, and her last album, 2003’s So Damn Happy, which made me so damn sad. If these recordings are new for you, you’re in for a treat. If you’re a bonafide fan of Franklin, it’s always fun to listen again. This song has a fascinating, complex history: written by James Moody in 1949 as an instrumental solo based on Jimmy McHugh’s “I’m in the Mood For Love” (1935). In 1952, lyricist Eddie Jefferson added lyrics to the Moody instrumental in a style that is known in vocal jazz as “Vocalese”— a style in which new words are laid over existing instrumental improvisations (check out Lambert, Hendricks & Ross, for example). The 1952 version is most closely associated with King Pleasure, who had a major hit with it in 1954. 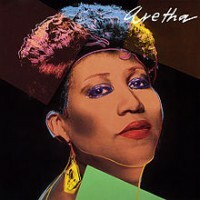 Hey Now Hey is one of my favorite Aretha Atlantic albums. I almost chose her atmospheric, stunning version of “Somewhere,” from West Side Story, but decided to share “Moody’s Mood,” which really shows Franklin’s versatility and playfulness. From the opening salvo, “Here I go!” to the very last moment, Aretha is in complete control and it is something joyful to behold. This is a great cover song. 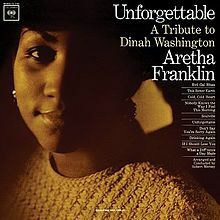 The Doobies original version had won the Grammy for both Song and Record of the Year, but in typical Franklin style, Aretha took the song in a completely different direction: to church. The result stands up well against the Doobies’ original and has stood the test of time. It’s amazing what a little call and response vocal can do. Aretha’s “What a Fool Believes” was included on Aretha, her first Clive Davis Arista Records album and her first non-Atlantic Records release. Though the album did respectably, Davis’ first single off the album was the schmaltzy “United Together.” “What a Fool Believes” was the second single and failed to make the pop charts, though it did peak at #17 on the R&B chart. It should have been the first single. Written by Holland-Dozier-Holland in 1966 and a #1 hit for the Supremes. Beyond the original Supremes version, “You Keep Me Hangin’ On” has been covered by many artists and actually been a major chart success two additional times: rock group Vanilla Fudge took the song to #6 in 1967 and English singer Kim Wilde (“Kids in America”) took a wonderful Hi-NRG dance version of the song to #2 in the UK and #1 in the states in 1987. 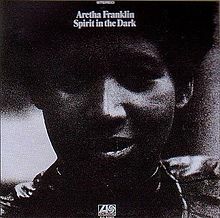 Listening to Aretha’s version of the song, it’s hard to imagine why Jerry Wexler and Ahmet Ertegun left the song off 1970’s Spirit in the Dark. Hearing it now, especially with the studio ad-libs before the take begins, gives the song an immediacy and sense of urgency it has never had before or since. Truth is, between 1967 and 1974, Aretha didn’t make a false move—there were truly no bad albums, no bad vocals, no filler songs. It’s just a question of what you personally like best. With outtakes like this, you realize how high the bar was set during her Atlantic Records period. 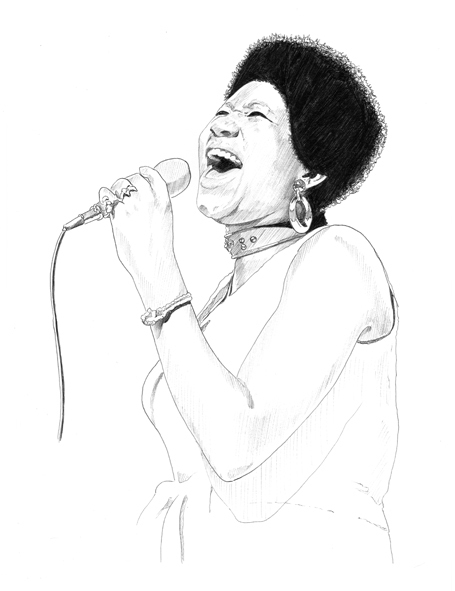 This portrait captures the sadness in Aretha that so often informs her vocals—especially in the early period. Another song with a complicated history: “The Thrill is Gone” was a blues song written by west coast blues musician Roy Hawkins with Rick Darnell in 1951. Their song was, itself, adapted from a 1931 composition of the same name written by Broadway veterans Lew Brown and Ray Henderson and included in the George White Scandals revue. That version was introduced by crooner Rudy Vallée, who had a top-10 hit with it. The Hawkins/Darnell version was a top-10 R&B hit for Hawkins the year it was written, but found a much bigger audience via B.B. 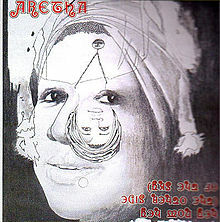 King’s 1969 recording, which was a top-20 pop and R&B hit, and won the Grammy for Best Male R&B performance in 1970. 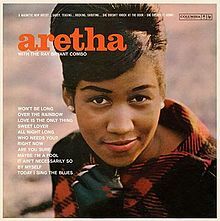 Aretha’s version of “The Thrill is Gone” certainly puts the “blues” in R&B and, once again, displays her chameleon-like ability to graft her own sound over songs associated with other artists. That she does this in such a seemingly effortless and unaffected way is a testament to both her her God-given gifts and the peerless creative team at Atlantic Records. Written by Richard Rodgers and Oscar Hammerstein II, from their 1945 Broadway musical Carousel. This standard has been recorded by artists as diverse as Frank Sinatra, Gerry and the Pacemakers, Judy Garland, Elvis Presley and Doris Day—and that’s just some of the people who had chart hits with it. Additionally, Alicia Keys sang it on the Hurricane Katrina relief special, from 1964 through 2010, Jerry Lewis closed his annual Muscular Dystrophy Telethon with it, and even Pink Floyd interpolated the song into their song “Fearless” on their 1971 album Meddle. There’s much more crazy trivia associated with this standard (for example, it’s the theme song of the Liverpool Football Club—really); suffice to say, it is a very significant copyright. It seems that the song’s message of hope still resonates and so it is called into action when people are frightened. In terms of convincing me of Hammerstein’s lyric, Aretha’s magnificent interpretation takes the Broadway standard to a spiritual place its creators could certainly not have imagined it going. 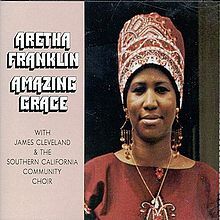 Her astonishing Amazing Grace was recorded at the New Temple Missionary Baptist Church in Los Angeles in January 1972 and won Aretha the Grammy for Best Soul Gospel performance the following year. Written by Michael Masser and Carole Bayer Sager and recorded by Diana Ross in 1980 for the film of the same name. Arif Mardin produced Aretha’s second Arista collection, which underperformed, though it yielded the singer’s first Grammy award since 1974 (for her cover of Sam and Dave’s “Hold On I’m Comin'”). I actually think her version of “It’s My Turn” has aged better than the Sam and Dave cover. Of course, Michael Masser was the writer of so many big ballad hits of the period (“Touch Me in the Morning” and “The Greatest Love of All,” to name just two). Franklin didn’t care that Diana Ross had had a top-10 hit with the song just months before and went ahead and re-recorded it, transforming a sort of schmaltzy movie theme into a credible anthem of self-empowerment. (Do not think, dear readers, that I don’t care for schmaltzy movie themes, I’m just struck by how a little bit of church changes the song’s emotional precision.) “It’s My Turn” was the third single from the album and went to #29 on the R&B singles chart. 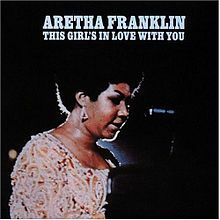 Although today most closely associated with Barbra Streisand who recorded it twice very early in her career, Aretha’s smoldering, swinging version is quite wonderful in its own way. Though Aretha’s pre-Atlantic output on Columbia Records is often dismissed much too casually, in fact it holds a wealth of treasure. Though it is true that the Columbia catalogue is inconsistent, much of it is substantive because we get to hear a very young, very gifted singer experimenting with many genres and stylistic approaches in an effort to find the magic. Interestingly, in my research I learned that the songs middle section (“I remember every little thing you used to do,”)—was based on “June: Barcarolle” from Tchaikovsky’s The Seasons, Opus 37b. Who knew? Written by Allie Wrubel (music) and Herb Magidson (lyrics) and published in 1938. This jazz standard has been recorded dozens of times. I especially love her voice during this mid-period, when she still had the power and range of her early recordings but her tone had deepened just a bit. I love her improvisations: the way she (literally) laughs like Pagliacci; the “way used to kiss on me”; the surprising way she ends the song. These choices are all so idiosyncratic and so uniquely Aretha. 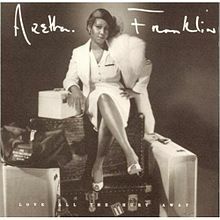 Let Me in Your Life is one of my favorite Franklin albums. From an A&R perspective, this is very good “casting.” As I mentioned in the introduction, this concept CD was supervised by Clive Davis and it has his finger prints all over it. The interpolation of Ashford and Simpson hit “Ain’t No Mountain High Enough” is icing on the diva cake (a Top-20 hit for Marvin Gaye and Tammi Terrell in 1967 and then a ubiquitous number one monster for Diana Ross in 1970). The cleverness of choosing Adele’s soulful up-tempo song—itself a number one hit—goes a long way toward compensating for the obvious de-compensation of Aretha’s once magical pipes which, like a sketch or cartoon for a famous painting, now seem to indicate more than execute the vocal choices she would historically make. The listener is forced to sort of fill in the missing brilliance and power as needed. The fact that the song gains much of its forward momentum from the driving background vocal part also helps blunt the sad reality that Aretha’s brilliant jewel has lost so much of its luster. Despite fairly excessive (and unnecessary) vocal comping and discernible use of (unnecessary) auto-tune throughout, Aretha still sounds pretty good on the verses, so for that reason I’ve included it here. Though it obviously is no threat to Adele’s original version, a greatly diminished Aretha still trumps most of the R&B crap that’s spat out by computers and lip-synched by women who would otherwise be lucky to find work as pole dancers. 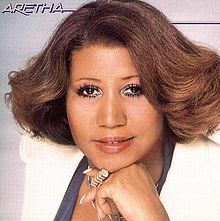 Aretha recorded the Stones classic the for Penny Marshall-directed Whoopi Goldberg film of the same name (1986). 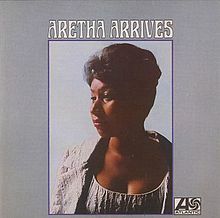 The record features both Keith Richards and Ron Wood on guitar and, most wonderfully, Aretha herself on piano (it should be noted that something quite electric happens whenever Aretha accompanies herself on piano. 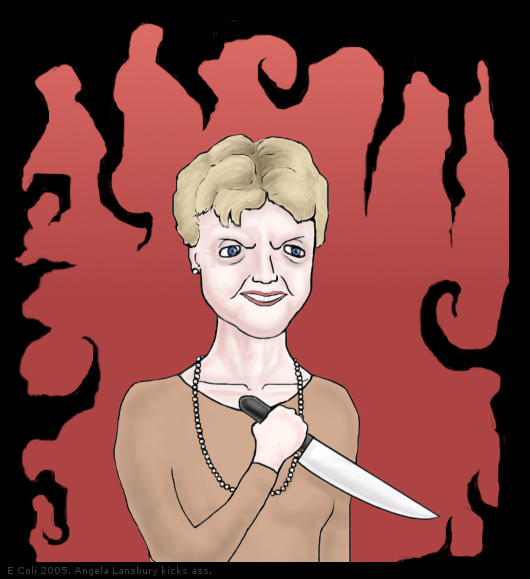 I only wish she’d done it more over the years). 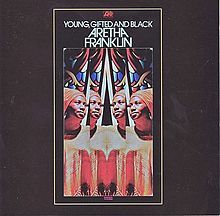 Aretha’s version went to #21 on the pop chart and #20 on the R&B singles chart. The video, which featured Whoopi as one of Franklin’s background singers, got substantial play on MTV. Written by Meredith Willson, from the musical The Unsinkable Molly Brown (1960). 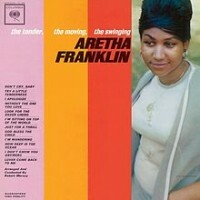 Aretha has always enjoyed herself a good show tune. While some might believe that theater songs were, perhaps, foisted upon her by producers and A&R men, I beg to differ. Since the 1970s Aretha has recorded everything from “What I Did For Love” from A Chorus Line to “I Dreamed a Dream” from Les Miserables. “Are You Sure” is a bit different because it’s not a ballad but a typically uplifting uptempo song by the great Meredith Willson (The Music Man). I love what Aretha does with “Are You Sure,” yet another persuasive argument for spending time with Aretha’s Columbia recordings. Written by Dean Kay and Kelly Gordon and published in 1964, “That’s Life” is closely associated with Frank Sinatra. It was the title cut of his 1966 album and a #4 pop hit for him. Written by John Lennon and Paul McCartney, from the Beatles’ Revolver and has been covered by everyone from Joan Baez to Ja Rule. Aretha’s version of the Beatles’ classic was released as a single in 1969 and included on This Girl’s in Love With You the following year. One of the coolest things about Aretha’s interpretation is that right out of the gate, she changes the point of view of the song’s narrative by shouting “I’m Eleanor Rigby,” making the song a first person story. Most artists who cover the song use some version of the Beatles’ classical ensemble approach, but not Franklin. Her version is spirited and sassy, with a driving beat and ferocious background vocal arrangement. The finished record makes Ray Charles’ equally well-known cover seem a bit anemic. Written by Stephen Stills. A #14 pop hit from his eponymous 1970 solo album. Aretha introduces her version of this song at her seminal Fillmore West concert as “a little something we’re experimenting with.” Aretha’s vocal is peppered with several references to said experiment (“It’s alright, ain’t it? ), which is really quite funny when you consider how completely organic the song is in Aretha’s capable hands. 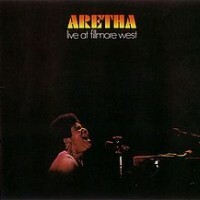 As a live performer, Aretha could sometimes seem indifferent or a bit detached, but on the Fillmore West record she is completely present, eager to please and, in a word, thrilling. Written by Sam M. Lewis and J. Fred Coots, the great ballad “For All We Know” was first published in 1934 and enjoyed its first charted version that year by Hal Kemp, which went to #3. 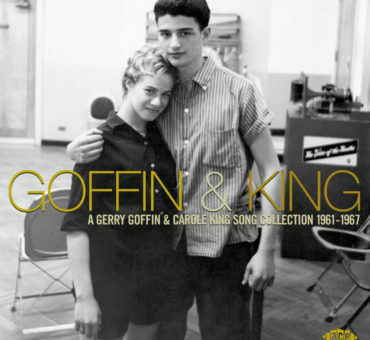 The song has been recorded by singers as diverse as Carol Burnett, Ray Charles, Joan Baez, to the Spinners, among dozens of other recordings. It was memorably covered by Billie Holliday on Lady in Satin (1958) and Bette Midler in the film For the Boys (1991). Aretha sang many standards, particularly during her early Columbia years. 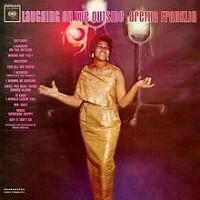 Laughing on the Outside features several others, including “Skylark,” “Make Someone Happy,” and “Say it Isn’t So,” but I especially like her interpretation of “For All We Know.” The album is notable for the tasteful arrangements by Columbia’s then in-house producer Bob Mersey. What Aretha did with Elton John and Bernie Taupin’s “Border Song” is nothing short of brilliant. I can only imagine the joy Sir Elton felt the first time he heard Lady Soul’s peerless, perfect vocal. This is a case where everything about the record—the arrangement, the production, the performance, the very idea of it—is simply a revelation and a flawless example of what makes a good cover song. 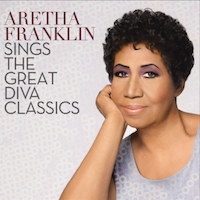 Elton’s original is, of course, a classic, but by the time Aretha is done with it, the listener is convinced it was always a Franklin song, so completely does she commit to her interpretation. Written by Sammy Cahn and Jimmy Van Heusen and published in 1958. The standard was introduced by and is most closely associated with Frank Sinatra, who recorded it on his Grammy-nominated 1958 LP Frank Sinatra Sings for Only the Lonely. 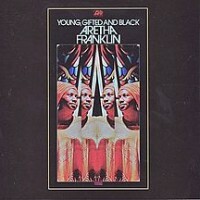 Aretha’s version of this great torch song was produced by legendary songwriter and A&R man Clyde Otis. Her interpretation is effective and emotionally connected. With melisma kept to an absolute minimum, Franklin seems to be living the song more than singing. Perhaps it resonated with the intrinsic sadness I have always intuited inside Aretha Franklin. 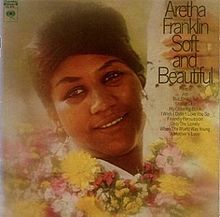 The song was included on the album Soft and Beautiful, the last of her Columbia releases before moving to Atlantic. It peaked at #29 on the R&B chart. Published in 1941, this Mack Gordon and Harry Warren standard was written for the film Orchestra Wives and originally a hit for the Glenn Miller Orchestra, who performed it in the film. Though it has been recorded dozens of times, it is most closely associated with Etta James, who recorded the song in 1961. Aretha’s recording is so appealing. As I mentioned above, I really love her voice during this early- to mid-1970s period. The arrangement is tasteful and warm. Though I doubt anyone will ever pry the song away from Etta James, I wanted to include Franklin’s version as it remains little known today. Written by Paul Simon and popularized by Simon & Garfunkel (1970). Perhaps I saved the most incredible (and indelible) examples of Franklin’s interpretive ability for last. 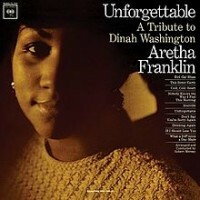 Just about a year after the Simon and Garfunkel version’s five week residency at #1 and within weeks of it winning five Grammy Awards, including Record and Song of the Year, Aretha turned the song completely inside out, transforming Simon’s Broadway-tinged hymn into a gospel shouter so intense that it could make a believer out of anyone. 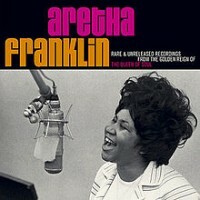 Released as a single, Aretha’s version went to #1 on the R&B singles chart and #6 on the Hot 100. It also earned her a Grammy as Best R&B Female Vocal in 1972. Here is a live performance from 1971. This clip is a persuasive example of the many real and rare qualities that made Aretha Franklin peerless and, genuflection to “The Queen” aside, stands as a convincing argument for why Aretha continues to matter today. "Aretha Franklin Sings the Great Diva Classics"
"Aretha Live at Fillmore West"
"Aretha: With the Ray Bryant Combo"
"Cuando Vuelva a tu Lado"
"Frank Sinatra Sings for Only the Lonely"
"Love All the Hurt Away"
"Rare and Unreleased Recordings from the Golden Reign of the Queen of Soul"
"The Tender the Moving the Swinging Aretha Franklin"
"The Thrill is Gone (from Yesterday's Kiss)"
"What a Difference a Day Made"
Aretha Franklin "This Girl's in Love With You"
I enjoyed this – you’ve come up with a fine list. 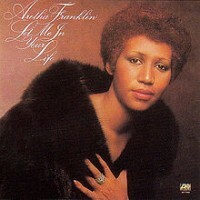 Did you consider including Aretha’s version of Oh Me, Oh My (I’m a Fool for You, Baby)? I think Lulu’s version still has the edge with Mardin & Dowd’s original arrangement and Lulu’s girlish sense of fun better embodies the lyrics (I can’t imagine Aretha ever staging “a ballet on a table top” – light and carefree isn’t really in her wheelhouse). I think Rolling in the Deep is atrocious. I probably shouldn’t criticise too much – Aretha’s overcome some serious health problems in recent years, but I can’t help but be disappointed that she hasn’t been smarter about how she uses her voice these days. I think perhaps the “Queen” tag weighs rather heavily on her – both in terms of commercial expectations and vocal expectations. The vast majority of her Arista albums (not the Gospel record, of course) have been about chasing big pop hits and “slaying” with her vocals – “the Queen must continue to chart big and see off upstart competition” etc. Why else would she have recorded that substandard “It Isn’t, It Wasn’t, It Ain’t Never Gonna Be” with Whitney Houston if it weren’t for the opportunity to reaffirm her status? Contrast the contemporary offerings of Etta James, whom Aretha arguably displaced in 1967 – James plowed her own furrow from the late 80s and left behind much more interesting latterday recordings than Aretha has, in my opinion. I agree with much of what you say here. Having worked at Arista while Aretha was “presiding” (see my “What Killed Whitney Houston?” piece) I can confirm what you say that they were all about hits (at any cost, whether they were or weren’t, actually hits). Arista was supreme at making hits out of songs that weren’t (Whitney’s “Where Do Broken Hearts Go,” anyone?). Thing is, she still had enough of her voice then that she could be exciting (I’m thinking of many moments of “Who’s Zoomin’ Who?”, for example). You make me laugh with the reference to Aretha staging a ballet on a table top. I immediately flashed on that indelible image of Aretha in a tutu – I can’t remember where she wore it, but she really did. As I mention in the piece, I am mostly crediting the A&R acumen of putting her on “Rolling in the Deep,” which *should* have worked beautifully. Imagine Bettye Lavette singing it? At the end of the day, Aretha has been living in a bubble for well over 50 years; I believe she really thinks of herself as a Queen, and that is, in general, not good for an artist. Truth is, if Aretha hadn’t recorded a single song after 1975 she would still be one the greatest recording artists ever and someone we’d still be talking about today. Everything after 1975 — the occasional great moments — are just gravy. Thanks for reading and taking the time to comment Kurt. Means so much to me. Btw, you might be interested in checking out Alice Russell – she’s actually a white Briton (a blonde, no less) whose music and vocal style is very much old school R&B. She can blow in a way of which Adele (who is more jazzy, really) could only dream. Thanks for the tip. I promise to check her out. You know paradoxically, we don’t actually make great soul singers in American anymore. We’ve depended on the UK to make sense of American soul music for some time now. By the way Kurt, I have a newsletter that would make it easy for you to keep up with the blog. I only send it once-a-month and you can sign up yourself on the home page on the upper right corner. So appreciate readers like you.